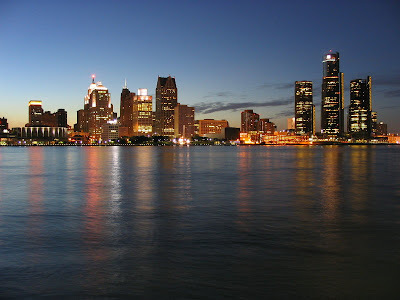 I was born in Southfield, a northwest suburb of Detroit. My earliest baseball memories happened at the corner of Michigan and Trumbull, and my favorite player growing up was Alan Trammell. My grandfather and aunt were proud Chrysler employees for decades and my great-grandfather worked in the boiler room at Henry Ford's mansion. I've lived in Ohio way longer than I lived in Michigan, but I still consider the so-called "state up north" home. It's been hard to read about Detroit's difficulties the past few years, and today's news about the city declaring bankruptcy is no different. This isn't about ultimately trivial sports rivalries or cheap points that pundits and armchair politicians will surely attempt to score from afar. This is about a place that nearly a million people call home. It's about people's lives. I'll always love ya, Detroit. Get well soon.